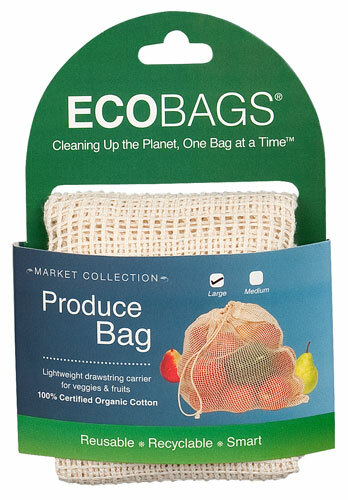 Tired of tossing thin plastic produce bags in the trash? 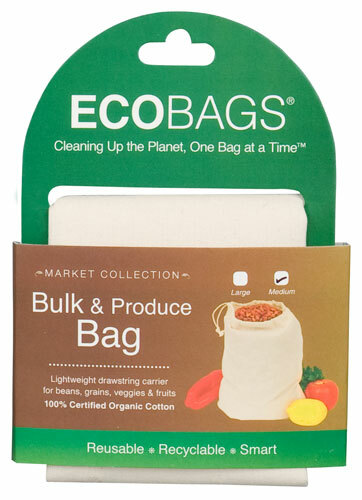 Bring reusable ECOBAGS organic cotton drawstring bags to the bulk and produce aisles of your favorite store or co-op and fill em up at your favorite bulk bins (beans, seeds and grains) or fresh fruits and veggies. When you get home transfer bulk items to containers and put your produce right into the vegetable crisper. 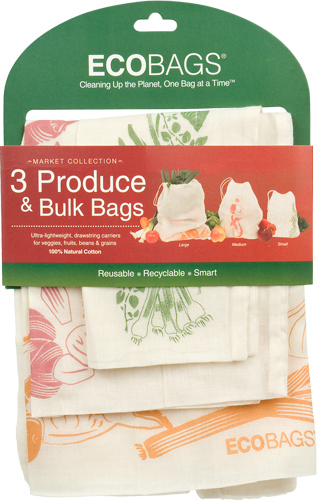 Store the bag with your reusable totes for your next trip. See how easy it is to bring your purchases home and create zero-waste. The drawstring top keeps everything from falling out. You'll see these bags are also handy for organizing travel and gym stuff or even using them as eco-friendly holiday gift bags.